There’s no doubt that China has stepped onto the international stage as a formidable manufacturing powerhouse of global-standard products and goods. Still, one can’t help but remember a time when a significant portion of “Made in China” was one blatant rip-off or other of a usually prominent western brand. Heck it still happens to this day, like with a certain CGI animated film they made hewing too close to the design of Disney-Pixar’s “Cars”, or how a streaming-exclusive action film evoked the imagery of “Mad Max: Fury Road”. And then there’s the case of Qiaodan Sports. Just in from the Chicago Tribune, NBA legend Michel Jordan has scored a significant legal victory in a Chinese high court for his case against a certain sportswear company from that country that’s been making some serious money of his very name and imagery. The offending manufacturer is Qiaodan Sports, which has a pretty visible presence in the market with its over 6,000 retail stores across China. 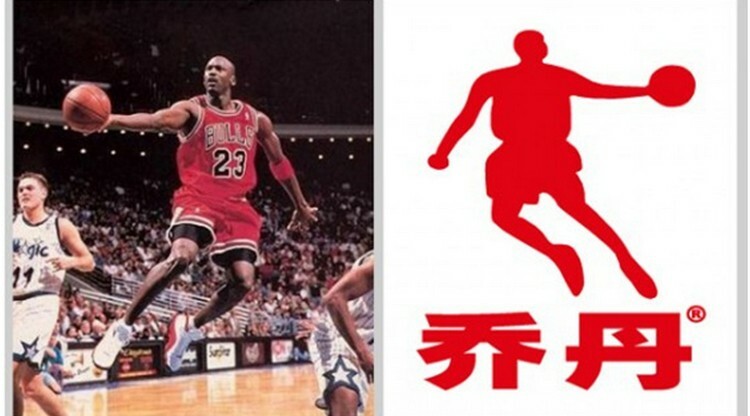 From the very name itself we get our first red flag on their shenanigans; “Qiaodan” (pronounced “chee- OW-dan”) is the Romanization of the two-character Chinese rendering of “Jordan”, the former basketball superstar’s family name. The second sign of guilt lies in the product logo, a silhouette of Jordan jumping for a dunk that’s thematically similar to the silhouette used in Nike’s Air Jordan series. And the Supreme People’s Court agreed Thursday December 8, revoking Qiaodan Sports’ rights to its “pirated” brand name, but only in its Chinese character rendering. The firm is still allowed to use “Qiaodan” written in the Roman alphabet, something it’s already done on some of its goods. Nevertheless Jordan is somewhat mollified by the ruling, writing down in an emailed statement that, “I am happy that the Supreme People's Court has recognized the right to protect my name through its ruling in the trademark cases". He then added,"Chinese consumers deserve to know that Qiaodan Sports and its products have no connection to me." The company that appropriated Jordan’s name and image began operations in 1984 as “No. 2 Daily Necessities Factory” under the umbrella of Fujian Jinjiang Chendai Xibian. Trouble arose in 2000 when, after a restructuring, the company filed for the use of “Qiaodan” as its brand name. When Jordan began bringing suit against the company in 2012, it enjoyed massive protection from lower Chinese courts that always ruled in its favor. Even now, some analysts such as Xiang Wang from intellectual property law firm Orrick believe that despite the ruling for Jordan, there would be no real obstacle for Qiaodan Sports, seeing as penalties for copyright violation in China are too low. Qiaodan has announced that it respect the court’s decision and will stop using the name, but only in Chinese and no more than what was asked.